Well this time I have had offline and taking care of DH with his back procedures has been a good time for me. It would have been better if we could have gone to AZ.... sighhh.... but at least I have been able to do some things I really love. As most of you know I was a very successful bead artist for most of my life. 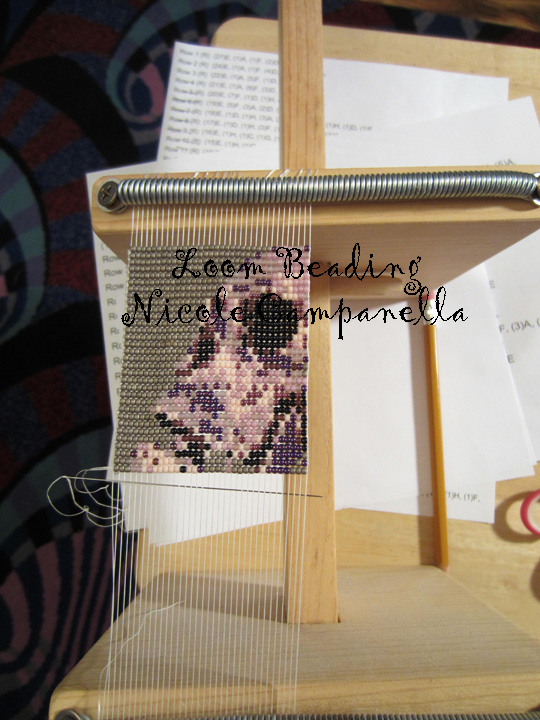 lupus made it so difficult that several years ago I had to stop beading. That doesn't mean I have lost my love for it. I still am very active in the beading world. The last month or so my hands have calmed down a lot. They haven't been shaking at all and I have a bit more strength in them. Still no feeling in my hands but I have been able to to a bit of beading. I am thrilled with this. Now it is not the massive advanced pieces I use to do but at least I can bead a bit right now. I have also kept up with my art every day but will show all of those later this week. I am at 166 pieces of art in 166 days. I am counting the bead patterns I am showing today. It's all art. A big thanks to Eva and Kristen for hosting Paint Party Friday. You may remember this acrylic painting I did a while back, well I made a bead pattern from it. Even though I do not smoke medical marijuana I am an advocate of it and have many pieces of beaded jewelry and lighter covers with pot leaves. This is my newest addition. The last one is of course you guessed it another skull. How can I not with my hands being so good. This one I am testing right now and it's almost finished. I had to use different colored beads from the pattern. 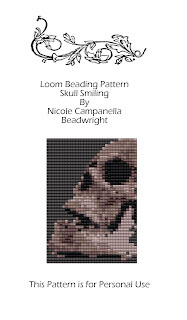 Pattern beads are ordered. I just had to bead it! Happy PPF! Glad to hear you've been able to do some beading, that's lovely! You are such an unique talented artist Nicole! Love that you even made patterns from your own paintings - fantastic beadings and painting! I wish that your hands allow you all this - so that you can to all the things you want to create! Beautiful beadwork Nicole. I am amazed at how intricate this work is! 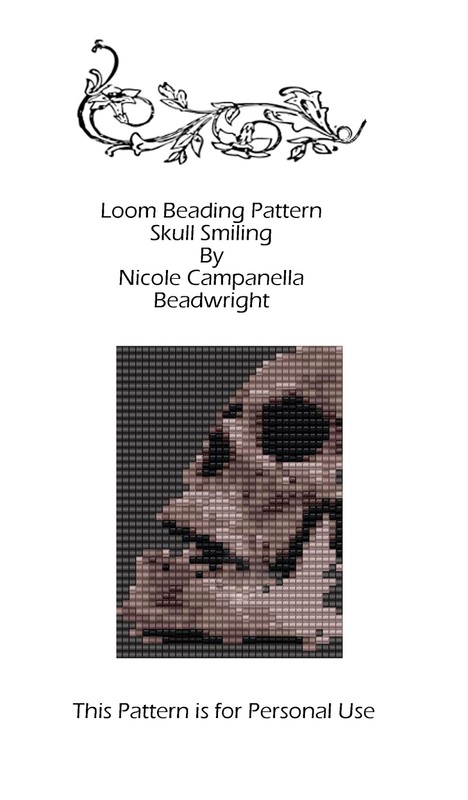 your beadwork is stunning Nicole!! And how you create such detail in your patterns blows me away. I am happy for you that you can still do your beading at times. Happy PPF and have a great weekend! Oh my gosh, I love every single one of these...especially the skull! So awesome! Amazing job! Hope you have a great weekend! You know how to use your blessings. Being able to bead again at any level is a wonderful, spiritual lift for you ... I am happy for you and impressed with your efforts. I love the pattern you made from the painting. Beading is something I have never tried and probably never will as I find as I get older the agility of my fingers is declining, but I love the art and what you do. Your art is amazing, Nicole. I can't imagine doing such intricate work with fully working hands, much less with the difficulties you cope with. I am so impressed that you can get a beaded work to look like its prototype. The paintings are all beautiful. The picture is great and the works are beautiful! I wish you all the best for the hands that can still create many works of art! It's awesome getting to know your work! Beautiful! Lovely and creative work indeed, warm greetings to you and best wishes! Oh these are so wonderful and beautiful! I love them and I'm so glad you've been able to do them. Such beautiful beadings! I have never tried that. I love your painting! 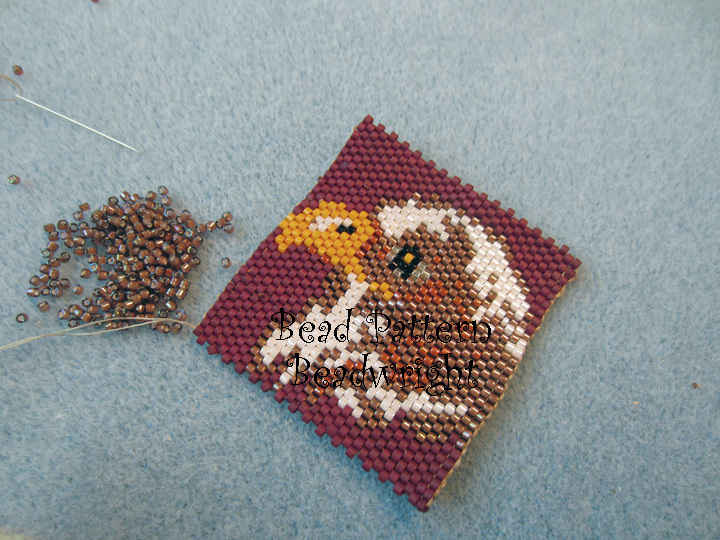 I'm glad to hear you're feeling better, so that you can bead a little. Wishing you lovely days of art work! Fantastic bead work Nicole... it's incredible how intricate it all is. So glad your hands are improving. Good cheers to you! Beautiful bead work Nicole, you must be thrilled to be able to return to something you love to create. It looks so intricate and detailed. I hope you continue to improve. Wishing you and your hubby the best of health. So good to hear your hands are better and see all your work. They are indeed amazing. Cool to see you used a painting for one of them :) Love it! Hope it stays that way. Love your positive spirit Nicole! My jaw is dropping over your amazing bead work. 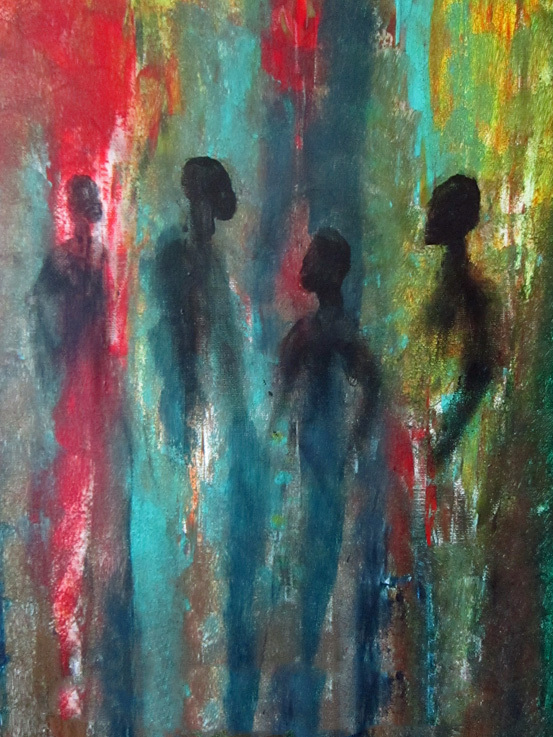 The painting is beautiful and the color layering just grabs my attention. Wow...I am astounded by your talent. Your bead patterns are amazing--they fill my eyes, which as you know, is the greatest compliment I can give. Oh, it's amazing how talented you are - what ever the 'tool' you can use it! Fabulous painting and patterns! Wow you are so talented love seeing all your facets of crestivity...good for you on the 166! You go girl!